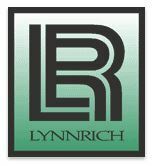 Lynnrich Seamless Siding Windows and Trim is a siding and window company that has been serving the Montana-Wyoming region for over 20 years. We offer 5 star seamless siding, custom windows and trim, and double and triple pane windows. Ask us about the money you might save from lower energy bills and possible tax credits!